This tote made with pre-cut Charm Squares and stands on its own due to several layers of foam batting. 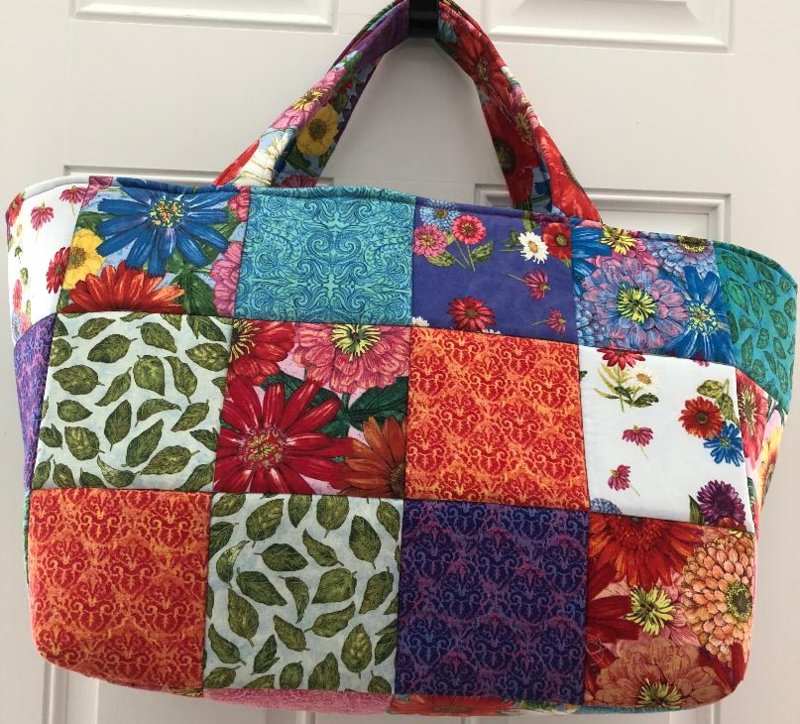 This wider than tall, full sized bag can hold a large quilt or several beach towels. *Nashua Sew and Vac has the supplies needed for this project except fabric. (48) assorted 5” squares - if you did not.